Well, it has been a long time coming but the outdoor world has a new record breaker and this time it is a woman. This is not a surprise as the sport of fishing is slowing becoming popular with the entire family and not just for men. It certainly is a breath of fresh air to see a woman win the title of “angler of the year” and I felt that this needed to get passed on to all those that follow the fishing world. On Sunday, August 19, Marianne Huskey made professional fishing history when she won the Anglers Insight Marketing Angler of the Year award. This marked the first time in the history of major professional fishing tournament circuits that a female angler has won an Angler of the Year award. The Angler of the Year award goes to the angler who amasses the most points over the course of a season. Huskey edged out Wisconsin’s Robert Blosser and Illinois’ Scott Duncan in a race that came down to the last day of the last event of the season. This year‘s AIM tournaments traveled to Lake Superior in the Upper Peninsula of Michigan, Lake Erie in Lorain, Ohio, Lake Michigan’s Green Bay at Oconto, Wisconsin, and Lake of the Woods at Baudette, Minnesota. Marianne Huskey made history at the Lake Superior event when she finished in second place, the highest finish ever in a major professional fishing tournament by a female angler. Wisconsin’s Huskey has been an AIM professional angler since the circuit was founded in 2009, fishing in every event the circuit has held. 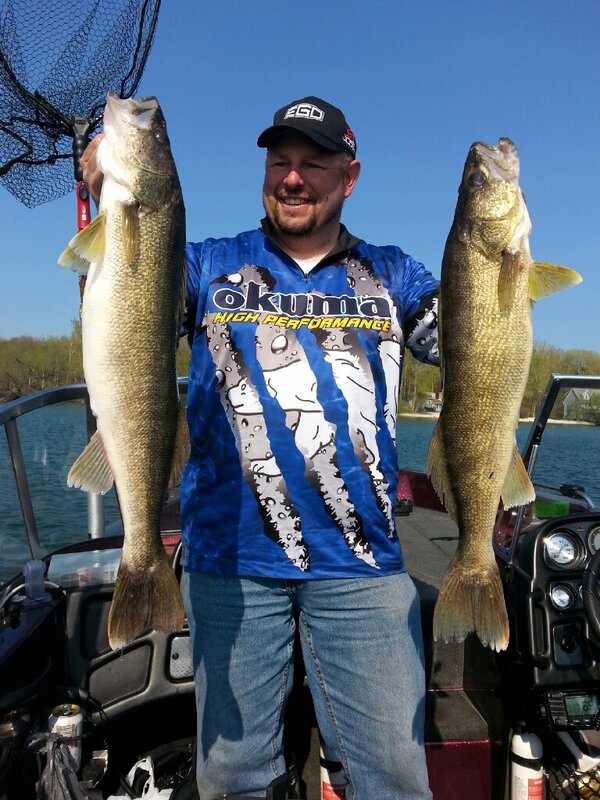 She has also fished on the FLW National Guard Walleye Circuit.